Spark Energy provide your tenants with a `one stop` handover of utilities into their names at a rate cheaper than the `Big Six`. Meaning you'll no longer have to manage this and moreover, Spark Energy will pay you for the referral. Acquaint integrates seamlessly with Spark Energy by exporting Tenant`s details prior to Check In and Check Out. This export can then be transferred to Spark Energy. Contact Spark energy to set up your account here. 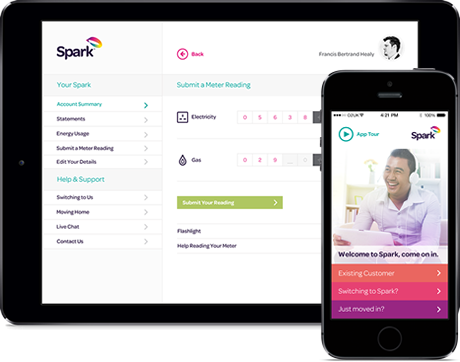 Already got an account with Spark Energy? Simply enable it in File -> Site /Branch Configuration -> System Configuration -> Bespoke / 3rd Party Links ->Spark Energy. Here you`ll also find another setting which specifies which Management Types are to be exported. Once enabled the Spark Energy Export will run automatically twice a week (Monday and Wednesday). The file will be automatically sent to Spark Energy including both Pre-Tenancies and Current Tenancies. Call our Sales Team on 01491 824800 for more information.